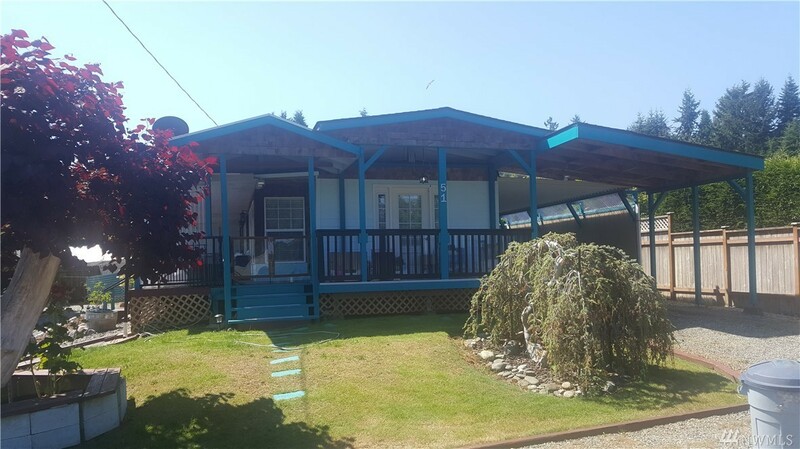 1,100 sq ft; lot: 10001 sq ft - MLS# 1336585 Courtesy of Executive Real Estate, Inc.
Water view & comm beach rights, boat launch, views of Hood Canal, baker, and Cascades. Tastefully updated, well maintained 2/1, newer floors, walls, drs, windows, wood-stove, electric forced air heat, ceiling fans, wrap around porch w/detachable wind breakers. French door entry and floor to ceiling bay windows, washer and dryer, updated kitchen, stainless steel appliances, attached covered parking, enclosed shop and shed, low maintenance yard w/garden areas. Community well 65/qtr, no CCR's/dues. Selling Office: Executive Real Estate, Inc.